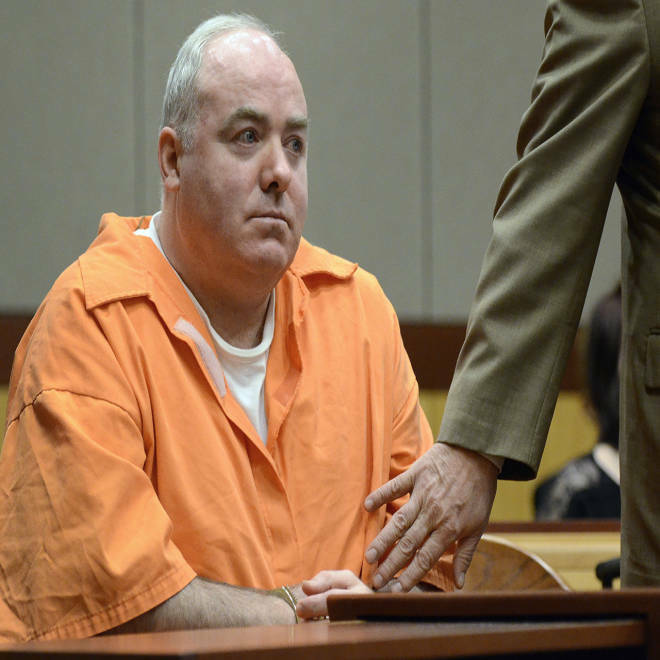 Michael Skakel in court in Middletown, Conn., on Jan. 24, 2012. 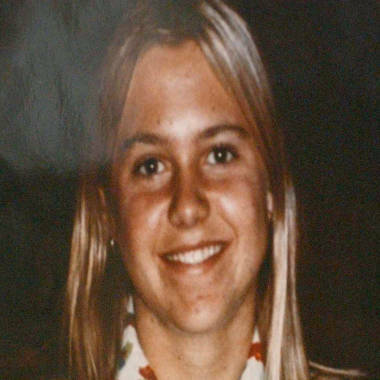 Michael Skakel, the Kennedy cousin granted a new trial after spending more than a decade in prison for the 1975 murder of teenager Martha Moxley, asked a judge Thursday to release him on bond. In court papers, Skakel's defense team asked that bail be set no higher than $500,000, saying that he deserves the chance to reconnect with his 14-year-old son and that he does not present a danger to the community. "He has been sober for thirty-one years and maintains constant contact with his sponsor. He is not now, nor has he ever been, a violent man," they wrote in a motion. Prosecutors, who plan to appeal the decision to set aside the 2002 conviction, have not said whether they will oppose the motion to let Skakel out of prison. The judge sent Skakel's lawyers an email saying that since his order for a new trial is on hold while the state appeals, it's not clear he's entitled to bail. He asked both sides to submit papers. The nephew of Robert and Ethel Kennedy has served 11 years of a 20-years-to-life sentence for the killing of neighbor Martha Moxley in ritzy Greenwich, Conn., when both were just 15 years old. The slain teen's mother, Dorothy Moxley, told NBC Connecticut that this week's ruling does not change her mind about who beat and stabbed her daughter to death with a 6-iron golf club. "I still feel the same way I always felt. Michael Skakel is very, very guilty," she said. Skakel's cousin and ardent defender, Robert F. Kennedy Jr., told TODAY that he has no doubts that he's innocent and was the victim of shoddy legal representation. The granting of a new trial is the latest twist in a serpentine case that marked one of the more sordid chapters for America's most storied political clan. After Moxley's half-clothed, battered body was found under a tree, there were a number of suspects, including Michael Skakel's brother Thomas and family tutor Kenneth Littleton. But no one was arrested for 25 years. That changed in 2000, after renewed public interest in the case led to the indictment of Michael Skakel by a one-man grand jury that grilled 53 witnesses. A sensational trial ensued, full of bombshell testimony, including an account of Skakel confessing to a fellow student at a private boarding school for teens with substance abuse problems. There was even testimony from beyond the grave when jurors heard the words of an ex-classmate who said in pre-trial hearings that Skakel once told him: "I'm going to get away with murder, because I'm a Kennedy." Skakel's limelight-loving lawyer, Mickey Sherman, highlighted the lack of physical and forensic evidence tying his client to the crime and brushed off any incriminating statements as unreliable. RFK Jr., who has long been an advocate for Skakel's innocence in the murder of 15-year-old Martha Moxley, tells TODAY's Matt Lauer he believes the new trial granted by a Conn. judge will set his cousin free. After three days of deliberations, the jury convicted Skakel. Members of the panel later said they did not buy his alibi — that he was across town watching TV with two friends and a cousin when Moxley was slain. Skakel launched a relentless round of appeals soon after his conviction. He argued that the case should have been tried in juvenile court because he was a minor when the murder occurred. He said there was new evidence, most notably a claim by a cousin of NBA star Kobe Bryant that two friends boasted of attacking Moxley. After the courts shot down both bids for a new trial and appeals courts backed them up, Skakel tried a third route, charging that Sherman botched his defense and was more interested in getting on TV than pursuing evidence that could clear him. In his ruling on Wednesday, Superior Court Judge Thomas Bishop agreed with Skakel that his lawyer did not put on a robust defense, faulting him most critically for not focusing more attention on Thomas Skakel and his admission that he had a sexual encounter with Moxley the night she was killed. "Trial counsel's failures in each of these areas of representation were significant and, ultimately, fatal to a constitutionally adequate defense," Bishop wrote. "As a consequence of trial counsel's failures as stated, the state procured a judgment of conviction that lacks reliability." NBC News' Pete Williams and Betsy Cline contributed to this report.